Three of the world’s busiest airports: the Charles de Gaulle in Paris, the Schiphol in Amsterdam and the Narita in Tokyo are all testing RFID tagging systems aimed to reduce the number of lost or mishandled bags, according to gulfnews.com. The Charles de Gaulle in Paris is testing a RFID technology together with traditional bar code systems, where each piece of luggage and aircraft unit loading device is tagged. 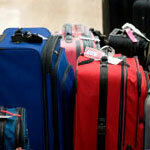 This enables airport personnel to know exactly where a bag is located in real-time. In 2009 the International Air Transport Association reported a total of 7.8 million mishandled bags costing airlines approximately $2.5 million.